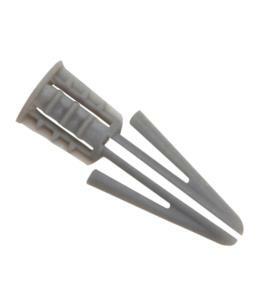 Faithful Cavity Wallplugs are a specially designed plastic fixing for plasterboard, when a screw is inserted, it pulls up and secures the plastic toggle wings against the side of the plasterboard. The plugs are suitable for use in most types of hollow wall and plasterboard. Popular for fixing brackets, handrails, shelving and much more.